APAC’s largest strategy and effectiveness awards, Tangrams has announced its four Jury Presidents to lead the effectiveness, media strategy, digital strategy, data & analytics and e-commerce juries. Tangrams Awards will open for entry on 17 April in line with Spikes Asia, allowing entrants to work on entry submissions for a single piece of work simultaneously rather than multiple times throughout the year for recognition of strategy & effectiveness as well as creative excellence. Tangrams judging and winners’ awards show take place during Spikes Asia Festival of Creativity in Singapore, from 25 to 27 September 2019. Festivals director, Joe Pullos commented: “Winning a Tangram is not an easy thing to do, and that’s why we’re hugely honoured to have such a formidable team of Presidents leading each jury panel for Tangrams in 2019 to uphold our rigorous judging process. Fonterra Head of global consumer business & CMO, Anindya Dasgupta (below) will lead the Effectiveness Jury. 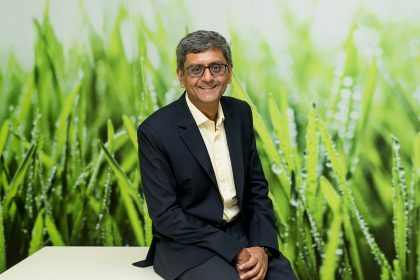 Dasgupta heads the global consumer business for Fonterra. Prior to this, he was with the Global Beverages group in Pepsico in New York, leading marketing for APAC etc. Dasgupta said: “In the clutter of communication, some brands stand out – which allows them to become not just a part of the consumer’s mind, but of their daily life experiences. 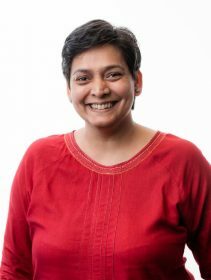 Sindhuja Rai (pictured below), director, media, Asia Pacific, Middle East & Africa for Mondelēz International will preside over the Media Strategy Jury. Rai works closely with brands and markets to activate their strategic priorities across the region. She is responsible for leading and developing partnerships, internal capabilities and strategies across all forms of consumer connections including digital, TV, e-commerce, print and outdoors. Rai said: “Media is a critical lever of driving business growth in today’s dynamic media ecosystem. 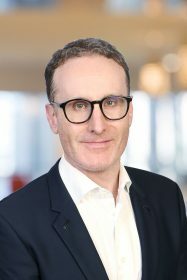 James Keady (pictured below), director digital engagement for Citi will lead the Digital Strategy Jury. Keady has had experience in leadership roles throughout APAC & Europe leading teams across digital media, online retail, social, customer experience and data driven marketing. He has a breadth of experience across Technology, FMCG, Finance, Automotive and Luxury. James is also on the editorial board of US Journal of Digital & Social Media Marketing and speaker at various events across the globe. Michelle Wong (pictured below), director, CRM & Analytics (global marketing) for McDonalds Global Franchising Limited Singapore Branch will head the Data & Analytics and e-Commerce Jury. Wong is part of the McDonald’s Global Media, CRM and merchandising team that aims to unlock the full value of all McDonald’s customers through data. Her team is focused on using the data they have on customers to create value, utility and meaningful experiences. Wong concluded: “What separates the forerunners will be how they democratise data into every business unit to power individual and collective decisions. Tangrams Strategy & Effectiveness welcome submissions in 5 award types; Effectiveness, Media Strategy, Digital Strategy, Data & Analytics and eCommerce. All entries will be assessed on the ideas, strategies and business results by a team of expert judges who are selected based on their knowledge, influence and contribution to the industry. Further information on all categories, rules and entry fees will be announced on 17 April at www.tangrams.asia.